My name is Roma, I Russian, excuse me for my bad English, I write by means of the translator. I write on PHP and ActionScript. 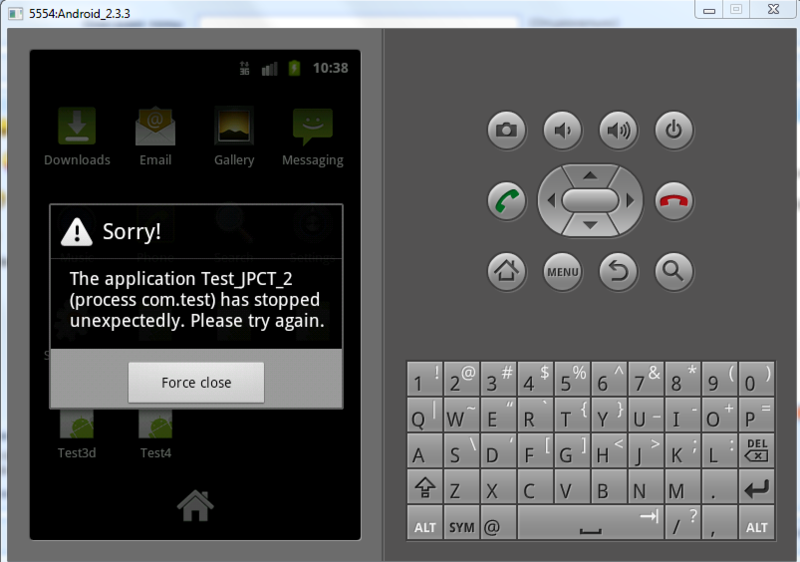 There was a necessity to write 3D application for android. 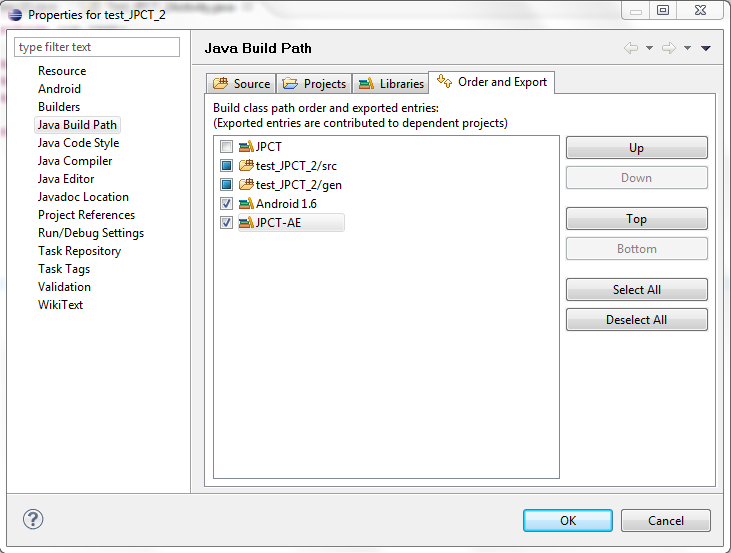 I have selected Java (it is very similar on actionscript), Eclipsse and JPCT (it is necessary 3D). 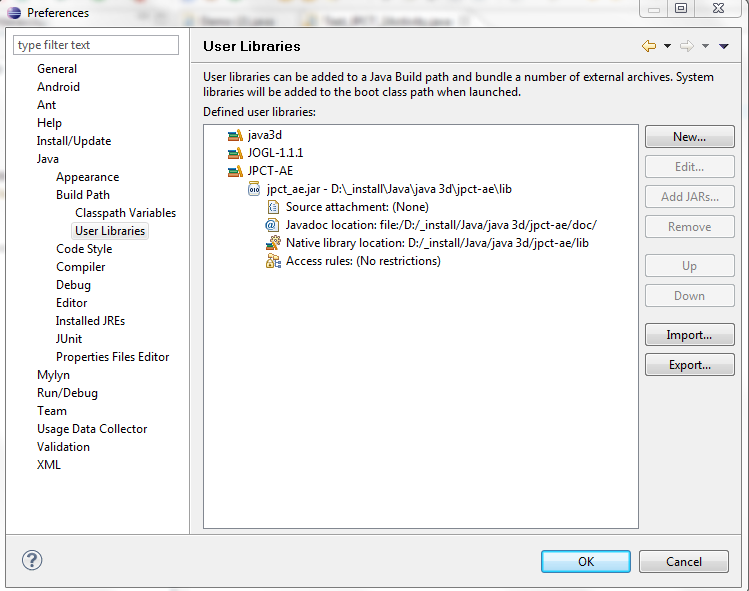 At me it turns out to do applications without usage JPCT but as soon as I add in the code something from JPCT, application hangs up. Personally, i've never used that "user library" thing for an Android project...so i tried it to see what happens...and it fails in the same way as it does for you. 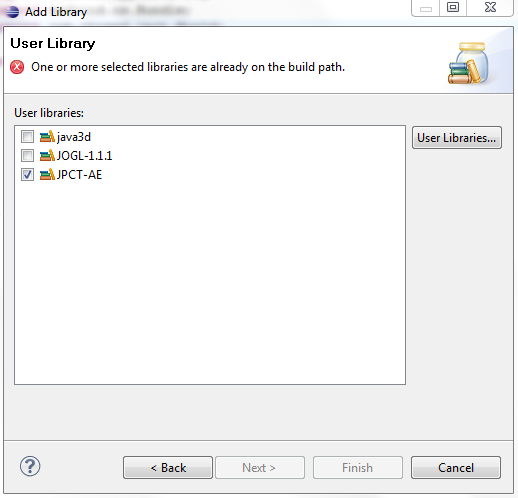 I'm not sure how to setup an Android project correctly when using a user library, but i usually add my jars in the properties' libraries tab as "external jar" and that works fine.